[S3981] Find A Grave: Forest Lawn Memorial Park, Omaha, Nebraska, Edward Edmond Henning, created by Doris Waddell; phillipsp, added Apr 2015, memorial number 145799264. [S3981] Find A Grave: Forest Lawn Memorial Park, Omaha, Nebraska, Mildred Arlene Tuttle Elder Henning, created by Doris Waddell; phillipsp, added Apr 2015, memorial number 145799353. [S3984] 1930 US Federal Census, Bellevue, Sarpy County, Nebraska, digital image Ancestry.com ; National Archives micropublication, Edwin A Tuttle head of household, roll 1292, enumeration district 1, page 3A. [S3767] South Dakota Marriages, 1905-2017, online database, digitized by Ancestry.com Operations Inc, 2005 Ancestry.com. Original publication: South Dakota Department of Health South Dakota Marriage Index , 1905-1914 1950-2013 and South Dakota Marriage Certificates 1905-1949, South Dakota Department of Health: Pierre SD. 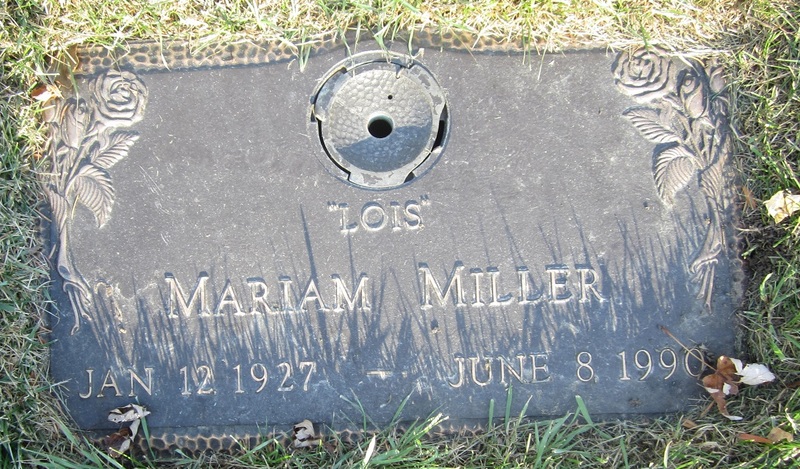 [S3981] Find A Grave: Forest Lawn Memorial Park, Omaha, Nebraska, Mariam Lois Tuttle Miller, created by Doris Waddell; KDQ, added Jul 2015, memorial number 149574963. [S511] Phil Dascola, family tree titled "John Root", published by Ancestry.com, wc.rootsweb.ancestry.com, from database named philsged, updated Feb 2010, viewed Nov 2012. [S3960] 1940 US Federal Census, Pharr, Hidalgo County, Texas, digital image Ancestry.com ; National Archives micropublication, Linn R Sims head of household, roll T627_4065, enumeration district 108-59, page 24B. [S1966] Texas Death Index, 1903-2000, online database, digitized by Ancestry.com Operations Inc, 2006 www.ancestry.com. Original publication: Texas Department of Health Texas Death Indexes, 1903-2000, Austin Texas, USA. [S2294] Geni - a genealogical database, a free family tree database, www.geni.com, managed by Bjorn P Brox, viewed Dec 2012. [S1469] Veromi, a current name and address on-line database, www.veromi.net, updated Nov 2012, viewed Nov 2012. [S2294] Geni - a genealogical database, a free family tree database, www.geni.com, viewed Dec 2012. [S2993] Laura, family tree titled "Henry Family Tree", published by Ancestry.com, wc.rootsweb.ancestry.com, from database named henry-ancestry, updated May 2011, viewed Nov 2012. [S3961] 1930 US Federal Census, Sanbornton, Belknap County, New Hampshire, digital image Ancestry.com ; National Archives micropublication, Harold P George head of household, roll 1298, enumeration district 18, page 1A. [S1664] Florida Death Index, 1877-1998, on-line database, Digitized by Ancestry.com Operations Inc, 2004. (Original publication: State of Florida Florida Death Index, 1877-1998, Florida Department of Health, Office of Vital Records). [S1166] US World War II Draft Registration Cards, 1942, Digitized by Ancestry.com Operations Inc, 2010. 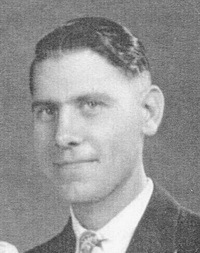 (Original publication: Selective Service Registration Cards, World War II, National Archives and Records Administration). [S3962] 1940 US Federal Census, West Haven, Rutland County, Vermont, digital image Ancestry.com ; National Archives micropublication, Harold P George head of household, roll T627_4236, enumeration district 11-60, page 2B. [S4163] Racheltose, e-mail message to Linda Sargent Reinfeld, received 14 May 2016. [S2993] Laura, family tree titled "Henry Family Tree", published by Ancestry.com, wc.rootsweb.ancestry.com, from database named henry-ancestry, updated May 2011, viewed Nov 2012 , name=Marion. [S775] U. S. Public Records Index, Volume 1, online index database, digitized by Ancestry.com Operations, 2010 Ancestry.com. (Original publication: compiled from various public records, ) viewed Nov 2012.